2018 has been one for the records books. 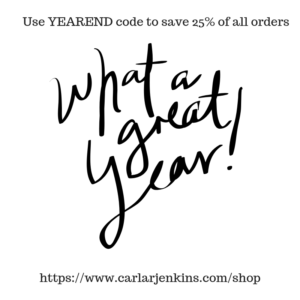 As a token of my appreciation, here is the YEAREND sales code to get 25% off my entire store. Shop till you drop (or at least your thumbs or index finger get tired!). Though this YEAREND code is good until the New Year, I wouldn’t wait until then to snap up off the these goodies that my store has to offer.